Firm: Kreusler-Walsh Vargas & Serafin, P.A. Jane Kreusler-Walsh is Board Certified as a specialist in appellate practice, the highest level of recognition by The Florida Bar of the competency and experience of attorneys in a specific area of law. She has an AV-Preeminent peer review rating from Martindale-Hubbell, the highest mark for competency and ethics. Florida Super Lawyers lists Ms. Kreusler-Walsh as among the Top 50 Women attorneys in Florida. Ms. Kreusler-Walsh is also listed as one of the top 13 appellate attorneys in Florida by Chambers USA 2017. Florida Trend inducted Ms. Kreusler-Walsh into the Legal Elite Hall of Fame. Best Lawyers in America has included Ms. Kreusler-Walsh 18 times in its list and named her Lawyer of the Year in Appellate Practice for West Palm Beach in 2018, 2015 and 2011. Ms. Kreusler-Walsh’s practice focuses on civil appeals and litigation support. Ms. Kreusler-Walsh specializes in handling complicated appeals and has over 500 reported decisions. In practice for over three decades, Ms. Kreusler-Walsh has appeared numerous times in the United States Court of Appeals for the Eleventh Circuit, the Florida Supreme Court and all Florida District Courts of Appeal. In recognition of years of service, the Guild of Catholic Lawyers of the Diocese of Palm Beach awarded Ms. Kreusler-Walsh the 2014 Monsignor Jeremiah P. O’Mahoney Award. In 2012, the Chamber of Commerce of the Palm Beaches awarded the firm the ATHENA Award for a Business/Organization, which honors businesses that have achieved professional excellence and promoted the leadership of women. Florida Super Lawyers names her as among the Top 100 Attorneys in Florida (2015, 2010-2013, 2008) and Top 50 Women attorneys in Florida (since 2006). Florida Super Lawyers featured her on the cover of its 2011 edition. 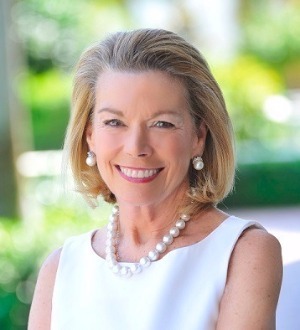 Florida Trend Magazine inducted Ms. Kreusler-Walsh into the Legal Elite Hall of Fame in 2015. The Executive Women of the Palm Beaches awarded her the 2013 Women in Leadership Award for the Private Sector. Best Lawyers in America lists Ms. Kreusler-Walsh as a leading lawyer in Appellate Practice. Chambers USA 2017 ranks Ms. Kreusler-Walsh as among the top 13 appellate lawyers in Florida and describes her as "'one of the premier lawyers' at the Bar." The 2018, 2015 and 2011 editions of Best Lawyers in America ranked Ms. Kreusler-Walsh as the Lawyer of the Year in Appellate Practice in West Palm Beach. She is one of only 14 Florida fellows in the American Academy of Appellate Lawyers, a national, invitation-only organization founded to advance the highest standards and practices of appellate advocacy and to recognize outstanding appellate attorneys.